Your first counselling session. What to expect from your counsellor. Most people feel a little nervous before their first counselling or psychotherapy session. These feelings are quite normal because you are going to meet somebody that you don’t know and you are going to talk about something that troubles or upsets you. Try to remember that we are here to help you and we are on your side. Your first counselling session is a big step but most people discover it is much easier than they had imagined. 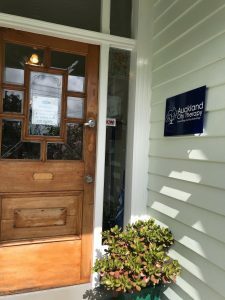 Our office is at 8 Brixton Rd in Mount Eden, next to Mt Eden War Memorial Hall. There is on-street parking outside and free parking in the War Memorial Hall carpark, next door. When you come through the front door, walk down the hallway to the waiting room and take a seat. We don’t have a receptionist so you will not deal with anybody else during your appointment. Only the therapist you have booked your appointment with will be involved in your session. People often ask if they need to do anything before their first appointment but prior preparation is not necessary. During the session you will be asked what has prompted you to seek counselling or psychotherapy and what you would like to gain from your sessions. As you would expect, your therapist will ask questions to try to understand as fully as possible what has lead to your current situation. Please feel free to ask your therapist any questions you might have as well. If you are coming for couples counselling then you will usually come to the first session together. You will both be asked to describe how you understand the situation and what you would like to change. It can sometimes be a little difficult to hear your partner describe things from their perspective as they may see it quite differently from you. You may be tempted to interrupt and disagree or correct how your partner perceives things. This is quite normal and your therapist will make sure that you both get a chance to talk and will hear both sides of the story. You don’t have to rush in and divulge every intimate detail of your life. Tell your therapist as much as you can about your situation but do it at your pace. We will not rush you or push you to talk about things you aren’t ready to talk about. This is your space so you can take as much time as you need. Individual counselling and psychotherapy sessions are 50 minutes long. Couple counselling sessions are 60 minutes long. Payment for each session is due on the day. Eftpos is available. An up-to-date price list can be found here. If you have any further questions then please feel free to get in touch directly with Jon or Amanda or fill in the form on our contact page and we will phone or email you straight back.